Okay, the man is a machine. He simply has to be. Bruce Springsteen put on one hell of a show this past Tuesday and I was fortunate enough to be in attendance. 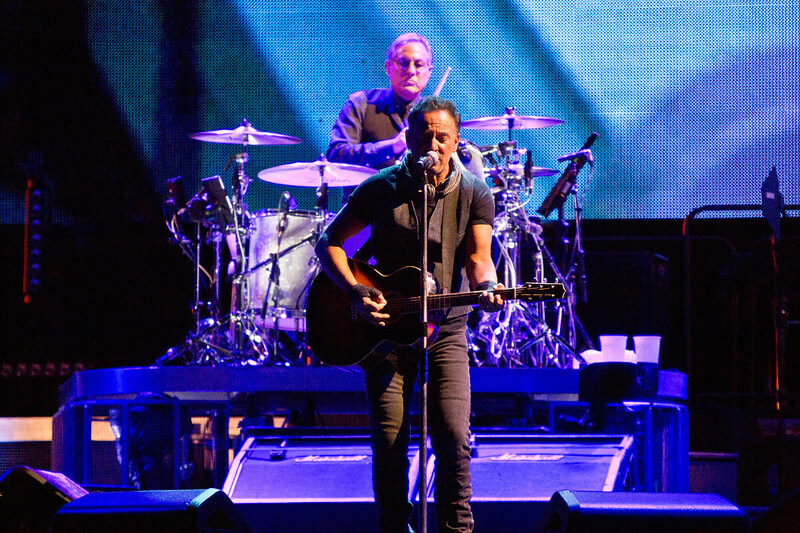 By the show's end on August 23, it had become one of Bruce Springsteen's longest shows of his career. It was tied for the third longest of all time and ended up being the longest show he has done in the United States EVER. Well, Springsteen just wrapped up his second MetLife stadium show here in New Jersey and he just broke the record he set two days prior. Thursday's (08/25) show lasted almost exactly 4 hours in length. That's good enough to become the second longest show of his entire career. Springsteen's longest show of his career was in Helsinki in 2012, that show lasted about 4 hours and 5 minutes in length. These past two shows have come extremely close to breaking that record with the most recent Jersey show coming within 5 minutes! Yeah...I think he's The Boss.